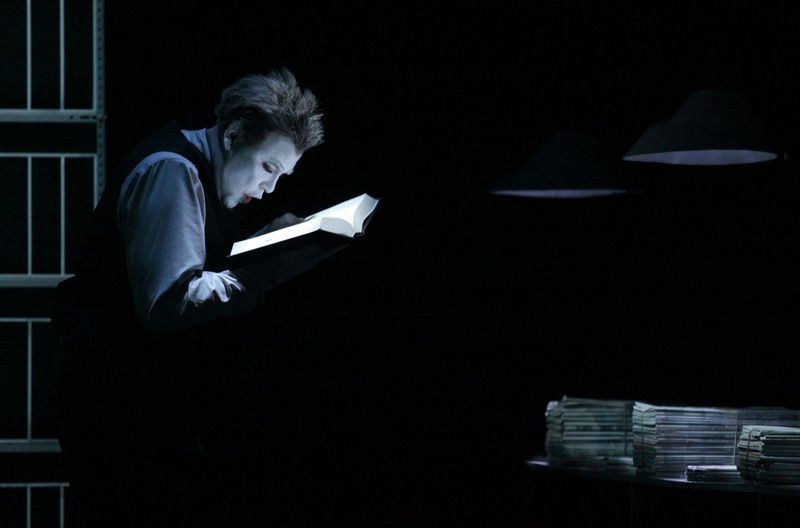 Visionary directory and visual artist Robert Wilson brings Samuel Beckett's haunting Krapp's Last Tape to life for the Barbican International Beckett Season. The one-man show is set during the cacophony of a torrential thunderstorm and sees an old man prepare to archive his last year on tape, just as he has every birthday since he was young. Upon listening to an earlier recording, he is reintroduced with his brash and confident younger self and is drawn into a chilling personal dialogue. What are the best dining options near Krapp's Last Tape London? Krapp's Last Tape gyms, sporting activities, health & beauty and fitness. The best pubs near London Krapp's Last Tape. Krapp's Last Tape clubs, bars, cabaret nights, casinos and interesting nightlife. Where to have your meeting, conference, exhibition, private dining or training course near Krapp's Last Tape. From cheap budget places to stay to luxury 5 star hotels see our deals for Barbican Centre hotels, including The Zetter Hotel London from 77% off.